……or “What Are Ya At Now?” you might well ask. “Well, lots of things” I might well answer. Doing a little arachnology. Hey, these wall hoppers aren’t supposed to be found anywhere north of Virginia!! Maybe hitched a ride on my bananas. 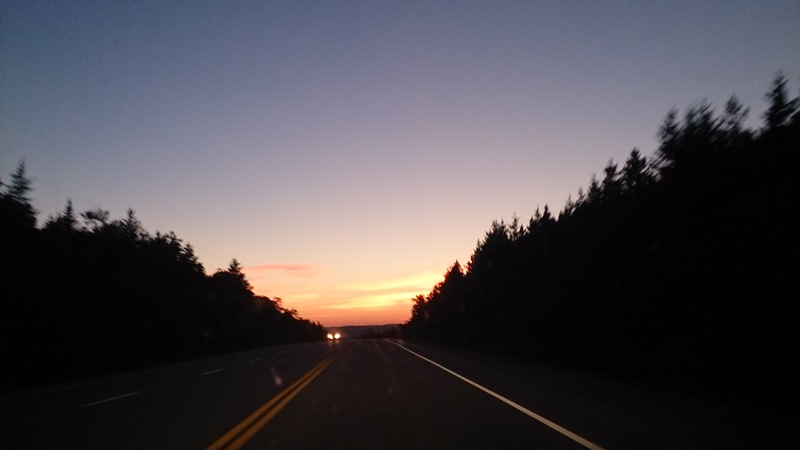 Driving to and from Halifax – always into the sunset coming home. It gets dark early these days. …..on the Lumpy Bumpy Cottage. More on that when it is done. But best of all, I have discovered a new game. I have become a little obsessed in fact and can hardly wait for supper to be over so I can throw my tiles on the table. 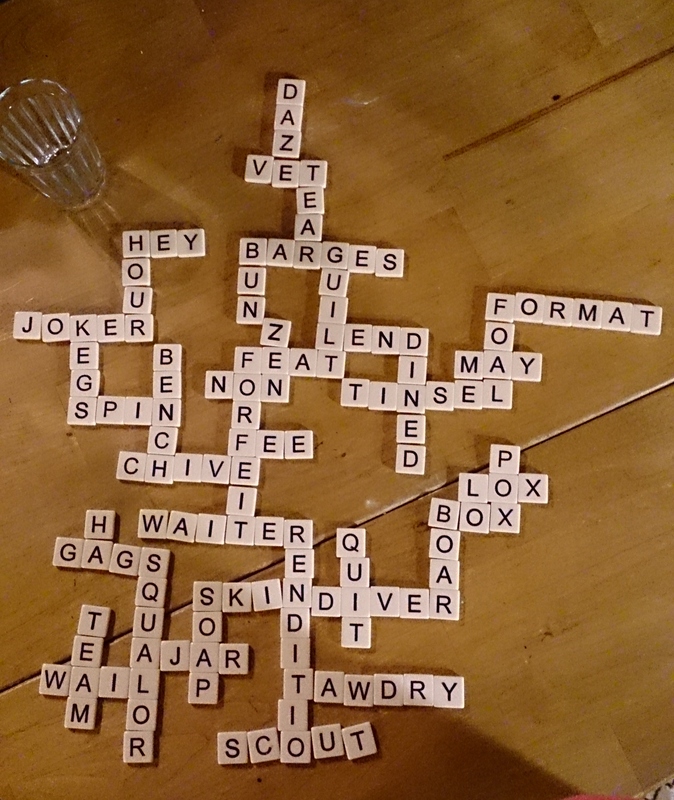 It is called Bananagrams. Karla arrived home at an ungodly hour to find the house just a few degrees away from squalor, which should have been no real surprise, because that was exactly the way she had left it. Well, maybe chaos was a better description. Squalor implies dirt and really, it was more a problem of clutter and disorganization. As she opened the door she thought it funny how you don’t really notice the distinct smell of your own house until you have been away for a while. Two months ago when she had opened her suitcase on arriving at her mother’s house on the island, she had smelled the lingering scent of the home she had just left; that musty undisturbed, damp back of the closet, rarely worn clothing smell, overlaid with the manufactured fragrance of her laundry soap. Now on entering the kitchen it hit her full force and she left the door ajar and opened the window to encourage a freshening cross breeze of cold night air. As Karla rolled her heavy suitcase into the living room she noted several stray strands of tinsel on the rug and a scattering of dry fir needles on the hardwood. Ha, you never really get rid of a Christmas tree completely, she thought, fragments of it keep appearing like magic. 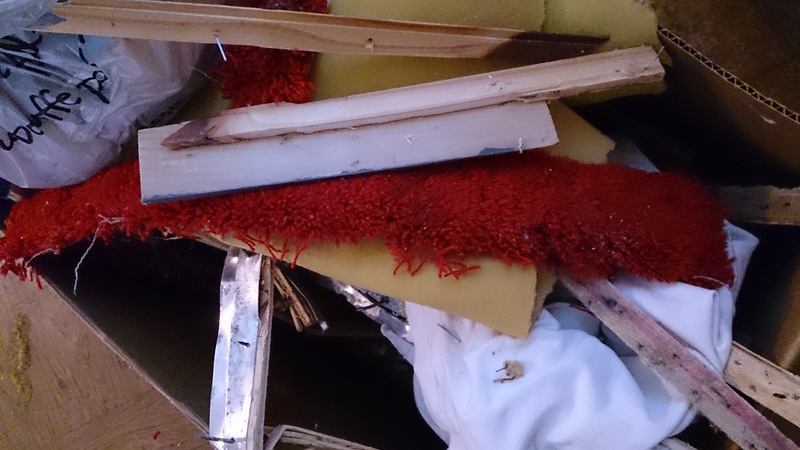 She imagined her house a crime scene and she was already feeling sorry for the forensic team which would have to sort through the piles of books, half-completed projects, and random detritus which crowded the small room. 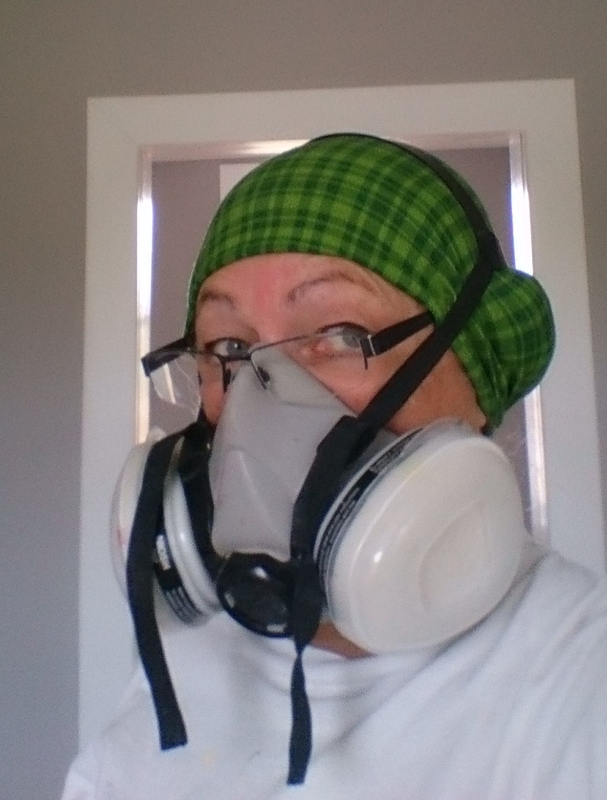 She was sure it would take a dendrochronologist to decipher the time-line of the old Christmas tree needles languishing under the rug and stuck under the baseboards – for surely there were several for every year of the three decades she had owned this house. She looked up from her reverie to see a cat sitting under the archway between the kitchen and the living room. It was small as cats go but no longer a kitten. It looked as if it had not eaten in some time. 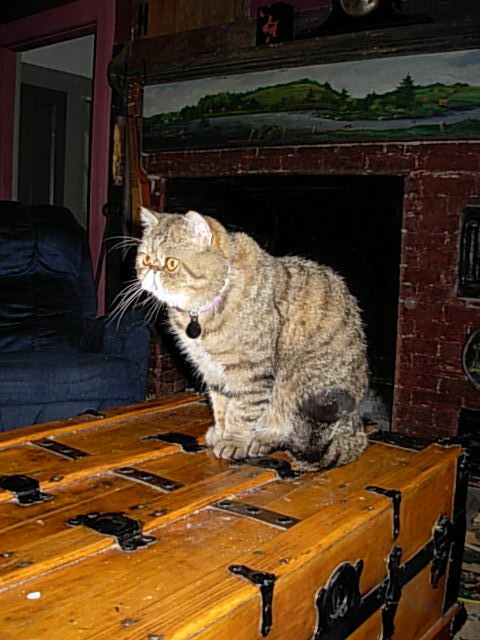 It was the same colour as Finnegan, her Grandmother’s cat from back in the day. 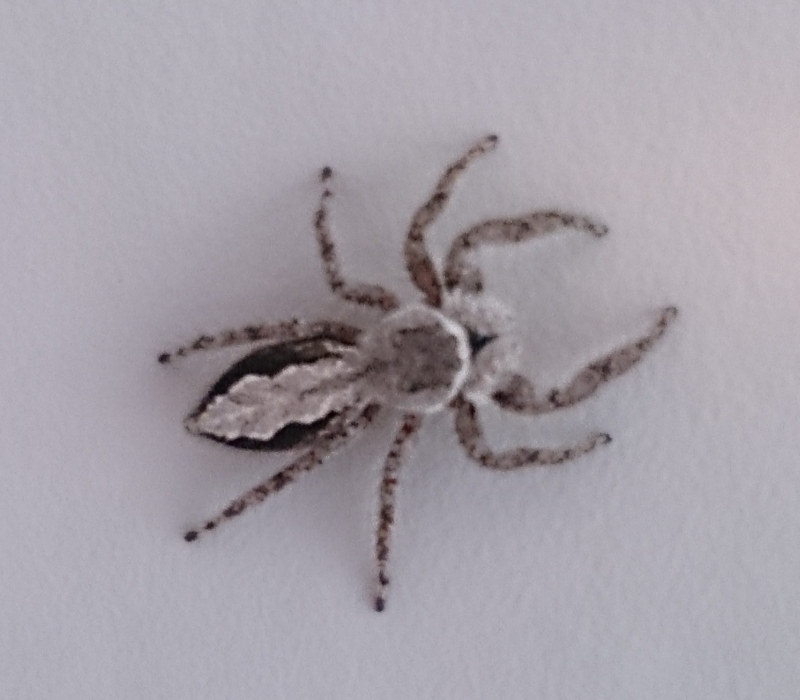 It was white with a mix of gold and black patches. One wide black patch covered both ears,the top of the head, and the eyes, making it appear to be wearing a little Batman hat. It had four white paws that looked like Go-go boots (Karla despaired that she was old enough to know what Go-go boots were) Tabby? Tortoiseshell? She asked herself. Is that what they called that colour of cat? I’ve never seen a tortoise that colour. Then again, I have never seen a tortoise, have I? What is the difference between a tortoise and a turtle? She was thinking she would have to Google that when the little cat unhinged its jaws and let out a loud woeful “Meowwwwl”. If it had broken into a kitty rendition of Hank Williams’ “I’m So Lonesome I Could Cry” it could not have plucked at her heart-strings any more poignantly. It’s mouth was so wide Karla swore she could see past its sharp little white teeth all the way to the tonsils and it reminded her of some silly cartoon cat with its uvula wagging like a ringing bell. The long wail wound to a conclusion and the cat sat there poised like Degas’ tiny dancer with its black front legs together and its it white paws turned outward. It stared at Karla with big orphan eyes which could have been right out of a Walter Keene painting; its tawdry coat like that of a small stuffed toy which had been loved to tatters. Then it winked and suddenly Karla was reminded of the the huge brown eyes of her first crush; a skindiver, twice her age, who spent the summer living on one of a pair of barges in the cove across from her Grandmother’s cottage. She had practically cleared the island’s beaches of driftwood for her Granny’s stove that summer as she looked for excuses to row around in hopes of catching the diver’s attention. How romantic it would be to live on the barge in the teenie tiny shack with a teenie tiny woodstove and the smell of salt water and the sea to rock her to sleep at night. She would gladly forfeit her place in the cozy cottage for such a chance. Her crush remained unrequited but he did once wink at her in the Co-op store. Karla sighed and her attention drifted back to the little cat. “I will call you Finn” she said aloud. Three weeks later found Karla outside the animal clinic struggling to open the plate glass door while carrying a large cardboard box in which Finn slept the groggy sleep of the recently sedated. The vet had diagnosed a dire but not fatal gut obstruction caused by the ingestion of a long shiny strand of tinsel. “It was no mean feat to save the bowel” Karla had just been told as she stood there in a daze. She was four hundred and change dollars poorer and had a pocket full of cat pills, salves and drops (turned out the wink was more likely due to an affliction than from affection) but the fee was small potatoes compared to the burden of guilt brought on by the knowledge that she had been the inadvertent cause of Finn’s loss of several of its nine lives. She wondered, not knowing Finn’s history, how many lives he had left. Her head was in a real spin. She had the door held open with her knee and was trying to move when she was startled by a loud crash and a sound like kegs rolling across a deck. It was coming from the back room and was followed by a series of deep grunts which she could only compare to the sound of a wild boar she had seen crashing through the mangroves in the Florida Keys. The box slowly slipped until she was holding it by one cardboard flap which was beginning to tear as the door slid closed on her knee, rolling Finn like a roly poly pudding into its corner. “Hey, can I lend you a hand” came a deep pleasant voice from behind her and Karla turned to see what could only have been “Son of Skin-diver” reaching out to keep the box from dropping further. “Indeed you may” she responded, thinking to herself, God moves in mysterious ways. “Is that your pet pot-bellied pig causing trouble back there? “Oh no” he laughed “just drove in to scout out some information about my new foal – it seems to have a pox of some kind. Couldn’t fit it in the van and didn’t want to drag the vet all the way out to the farm for something which might be a non issue.” He took the box from her hands as she opened the door and together they made their way to her car. “I’m afraid I’m on my own” she said, avoiding eye contact and further explanations. “Sure” she said, relieved, and she set the box down on a bench and they both peered inside. Without lifting his head, Finn opened one eye, examined Son of Skin-diver approvingly, and then promptly went back to sleep. “Maybe we can have lunch while we wait for the little joker to come around” SOS suggested. They sat at the Kit-Kat Cafe in a red vinyl booth and the waiter brought them a classic diner format menu; vinyl sleeve with embossed burgundy cover. He dined on sausage and chive quiche, she, a bagel with cream cheese and lox. They shared a cinnamon bun. He made a bad pun about lox, she joked about real men eating quiche. They talked about the zen of cats, the fragility of foals, and the ideal home (a houseboat, of course). In a cardboard box between their feet, Finn dreamed a delectable dream of tuna juice fountains and warm laps. He stretched, yawned, and curled back into a tight ball, satisfied that he could now quit worrying about where his next meal was coming from. 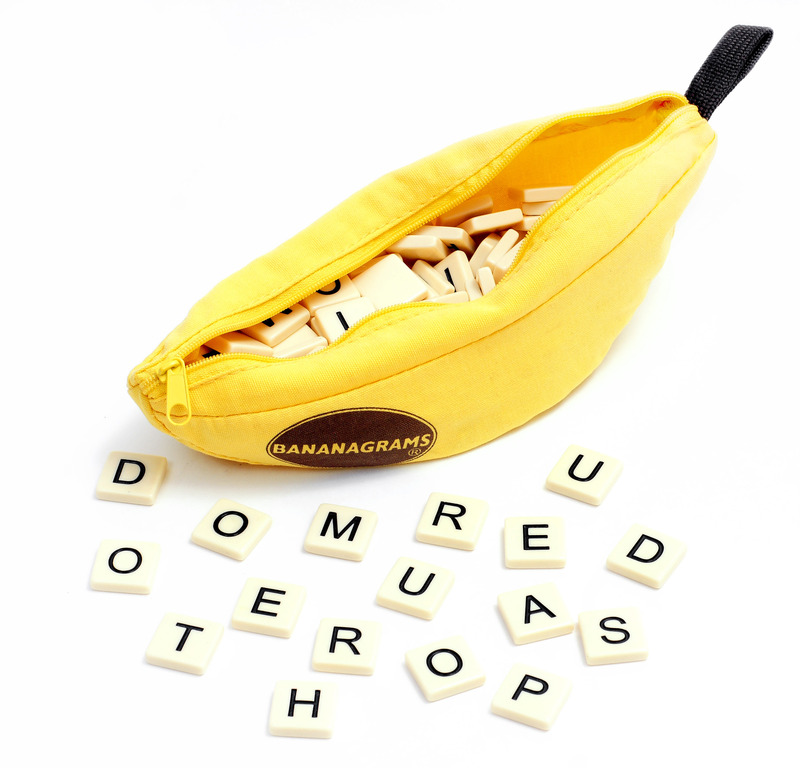 Would love to hear your tale inspired by the bananagram words. Send it on to JGParsons@judypstickletrunk.com – you could win one of my coveted Tiny Monkeys!! Subscribe to my posts by filling in the widget on the upper right.